(TibetanReview.net, Apr08’19) – Does the government of China have an extra-constitutional authority over at least one local council in Australia? It would seem so, given the fact that it had bullied the Georges River Council in south of Sydney into black banning an Australian-owned media company because they believed it did not toe China’s Communist Party line. Media pressure eventually compelled the council to overturn China’s dicta. Officials from the Chinese consulate in Sydney told the Council last year that if it did not abandon a sponsorship deal with the Australian Chinese-language media organisation ‘Vision China Times’ it risked harming relations between NSW and Beijing, reported canberratimes.com.au Apr 6. The report noted that in Jan 2018, the Georges River council banned the Vision China Times from sponsoring the council’s 2018 Chinese New Year celebration after a consulate official wrote to the council, warning that ‘‘we have noticed a politically anti-China media named Vision China Times has been listed as an event supporter’’. The report continued that a council administrative officer emailed the Chinese consulate the following day, on Jan 18, confirming that Vision China Times had been banned. “Council respects and values the relationship with the consul-general and also the development of the Australia-China relationship,” the email was quoted as saying, responding positively to a written complaint dated Jan 17, 2018 from a Chinese consulate political affairs official. 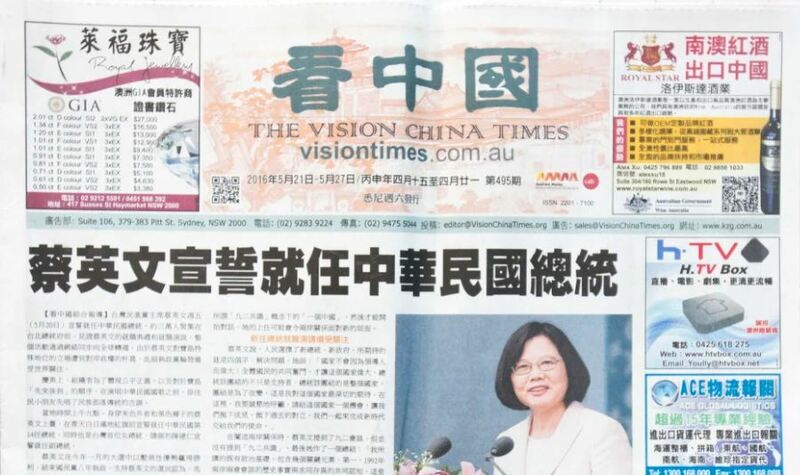 The report cited Vision China Times manager Maree Ma as saying the paper had been banned because “the Chinese consulate don’t like any media outlets that they cannot have some sort of control over”. She has stressed the paper was an Australian owned outlet committed to independent journalism and free speech principles. The council was reported to have overturned its ban on Ms Ma’s newspaper after The Age, Herald and Four Corners sent questions about the decision. And he wanted to meet with the council to discuss the issue further. The Georges River Council is of intense interest to the government in Beijing because it has one of the nation’s largest populations of Chinese Australians, the report noted.